These are a new variety of crisps from Seabrook, in order to help celebrate the new ride at Alton Towers; The Wickerman which launched this year. 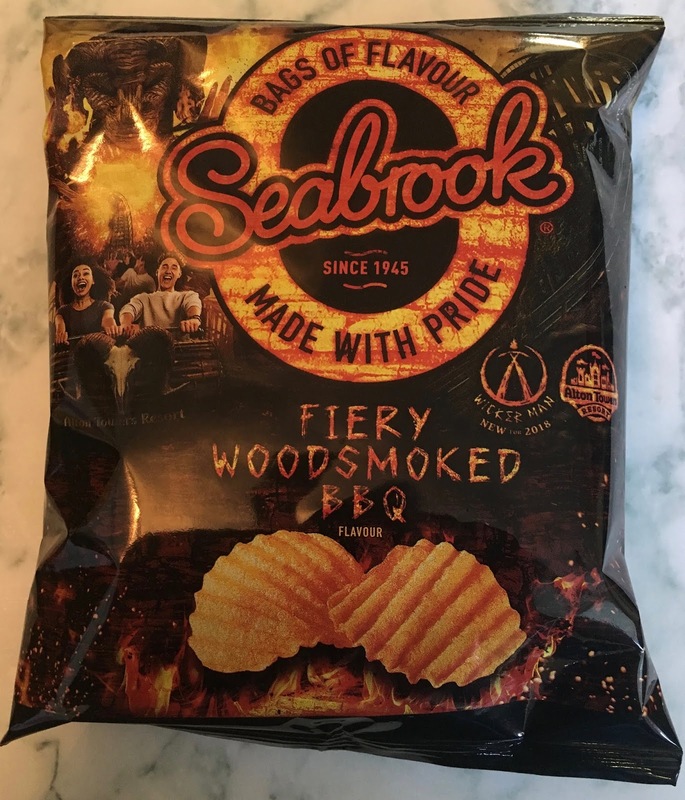 The ride is a wooden roller coaster with flames (what could go wrong) so the crisps variety is themed as Fiery Woodsmoke BBQ flavour. The packet also features an image of the roller coaster on the front of the bag too. 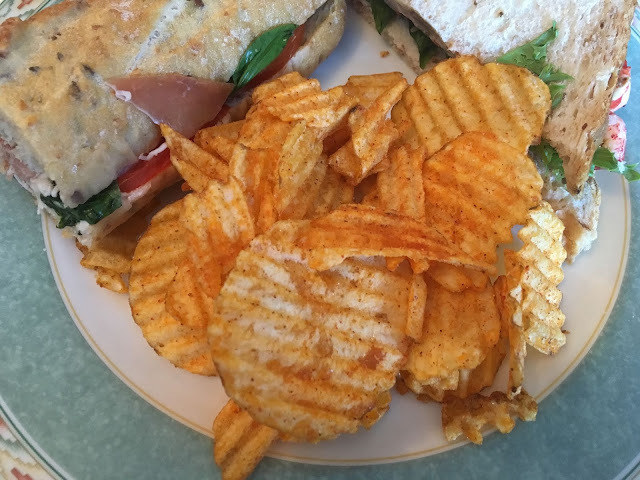 The crisps are crinkle cut and have a heavy seasoning sprinkled on them. Crinkle cut are also good for strong flavours as the creases hold the seasoning. I gave one a try and found the favour to be quite unusual. There isn’t that much depth to the flavour, but what was there was still strong. There was a smokey barbecue flavour, focusing more on the smoke than anything more wholesome. Just as I was thinking that the crisps perhaps needed a little more sweetness or seasoning I realised my mouth was on fire. Okay it wasn’t quite that hot, but the chilli burn was strong and it seemingly snuck up on my taste buds. It was actually nice to find some crisps with a kick and a decent chilli buzz, I found them very enjoyable to munch on. These are tasty crisps, and a nice tie in with Alton Tower’s new ride, somewhere I really should plan a trip too soon.